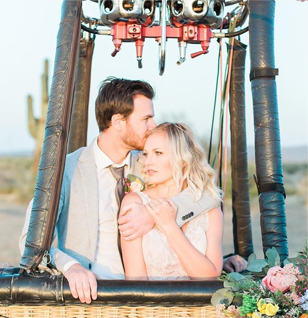 Creating an Atmosphere is something we know a great deal about and a hot air balloon creates its own magic through intrigue and the romance of flight. A tethered hot air balloon stands tall – 90’ or more and is 70’ wide. It has a traditional wicker basket ready to lift you off the ground. Three tether lines prevent the balloon floating away and our pilot uses the burner to warm the envelope and lift you and your guests 60’ off the ground, just as he would in normal flying conditions. The balloon then cools and comes back to earth ready for the next guests to enjoy the thrill and the views. 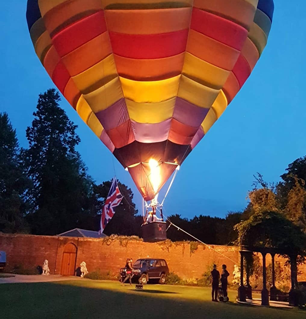 For those who would like an exclusive balloon flight for friends, families or to leave a venue in style, so long as the weather is onside, we can tailor the most memorable of experiences with champagne and canapes in flight or a full dinner or BBQ on the ground. We have a passion for ballooning and we love to create an Atmosphere tethered or not. Providing the wind speeds are not excessive we can bring a beautiful balloon to your event and create something very memorable for you and your guests. 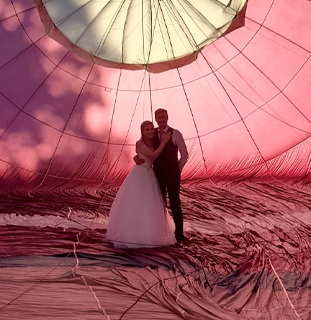 PHOTOGRAPHY PACKAGES Capture the magic and Atmosphere of your special day with our photography packages including drone flights around the balloon and venue, captured forever in stunning high definition. THE DETAILS We help to provide a tailored service which can incorporate the tiniest of details to make your wedding day stand out from the rest. 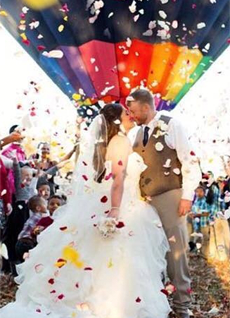 We can also theme your wedding venue around the wonders of flight and ballooning. PLANNING Would you like a little bit of extra help to discover how Atmosphere can make your wedding day even more memorable? We can arrange a meeting to discuss any ideas you might have and work together to make them a reality. ADDED EXTRAS We can theme the balloon to your desires with bespoke designs from the smallest to a complete balloon for the occasion. We also have a range of other ways to create a magical Atmosphere.